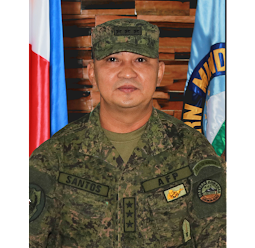 NSFA, Panacan, Davao City - The seat of EMC Commander Lieutenant General Rey Leonardo B. Guerrero has been raised to the General Headquarters as he has been appointed as the new Armed Forces of the Philippines' (AFP) Chief of Staff amid the retirement of General Eduardo M. Año. 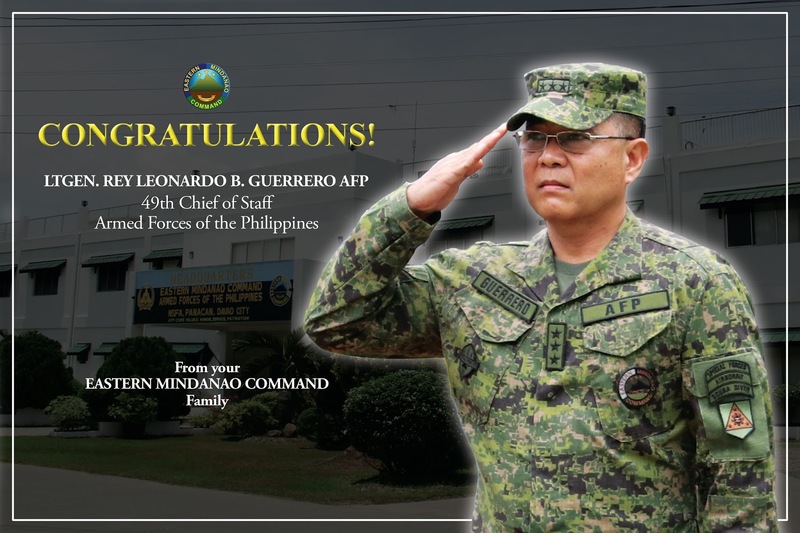 Lt. Gen. Guerrero assumed as AFP Chief on October 26, 2017, during the Ceremonial Change of Command at Headquarters AFP, Camp General Emilio Aguinaldo, Quezon City with President Rodrigo Duterte as Guest of Honor. In his speech Lt. Gen. Guerrero expressed his gratitude to the President and the Filipinos by pledging his selfless service to the country. "I believe that the best way for me to show to you and our countrymen my gratitude is to serve our country with selfless dedication and to lead the AFP with purpose," he said. The new Chief of Staff also highlighted his priority programs. 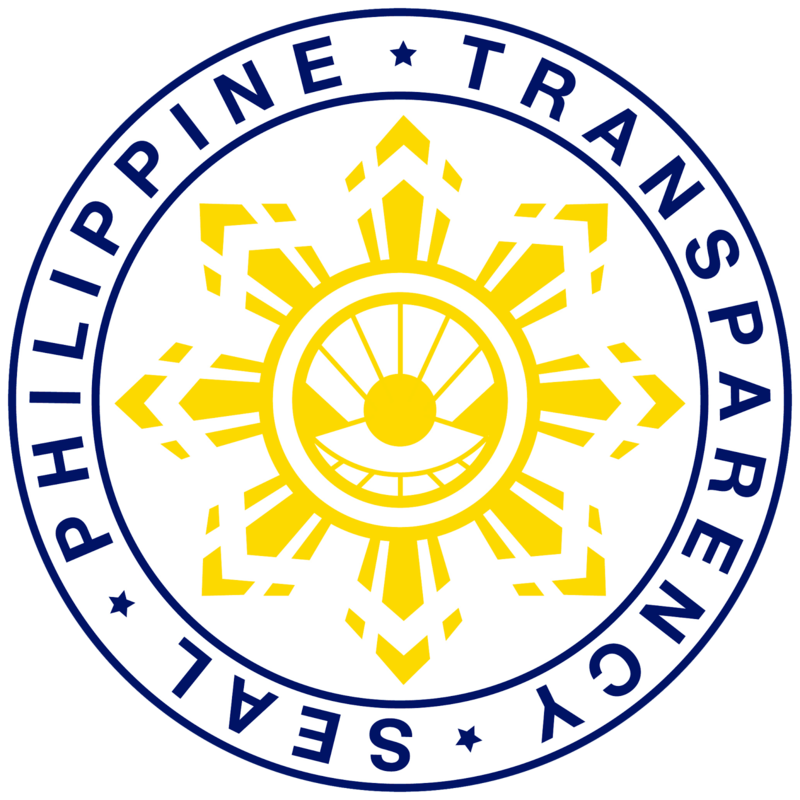 He assured to "finish the remaining terrorist groups, neutralize the communist insurgency threat, and support law enforcement agencies in its efforts against lawless armed groups" aligning to the marching orders of President Duterte. 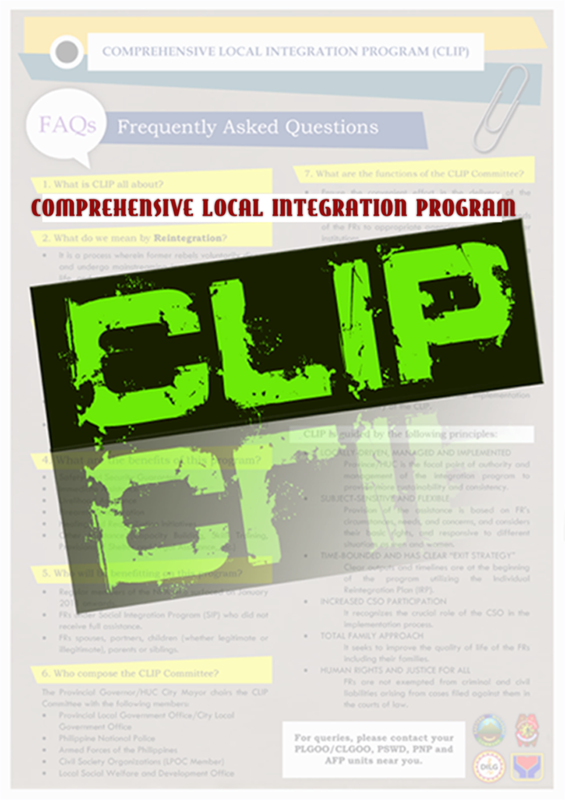 Moreover, the AFP Chief expressed to continue the Philippine Military organization's modernization reforms to attain operational and organizational excellence. He also urged his men and women "to adhere to the highest standards of excellence and professionalism" as they continue to fulfill the AFP's mission. "Our way ahead is clear, our targets are in sight. Let's move forward with purpose together," he concluded. 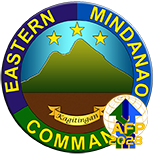 Lt. Gen. Guerrero will turn-over his Command over EastMinCom on October 30, 2017, to its Acting Commander, BGen. Perfecto Rimando, through a ceremony at NSFA, Panacan, Davao City.